After a fiery exit from Afghanistan, Tim Madison is promoted to major. Jeremy Wagner is a civilian, just beginning his Transition to True Alpha. As a lone wolf, he has no one to teach him the vital principles of strong leadership. After a volatile chance encounter, Tim and Jeremy form an intimate bond. 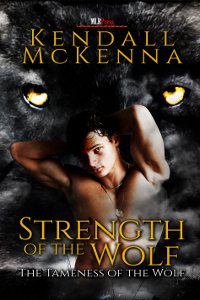 As Jeremy prepares to someday lead his own pack, Tim struggles with military werewolves being needlessly maimed in combat, as well as specifically targeted by hostile forces. Despite Tim and Jeremy's feelings, werewolf and human politics or family conflict could prevent their mate-bond.